Spam emails have become part of the normal life of an email user for decades now. But there are mind-blowing facts about spam that only a few people know. The trivia is not to make people worry more than it is necessary. It will just open the floodgates on how big a problem spam email has become, and what we do to combat it. Only 300 spammers are responsible for 80% of all spam emails in Europe and North America:They are an elite group indeed, operating a mafia-like operation on a day-to-day basis at the expense of everyone else. For the billions of spam emails a day sent towards the European and North American continents, 80% originated only from 300 spamming individuals/organizations. This data is very consistent with the report coming from Spamhaus, a non-profit initiative to name the spammers in the world and help lessen their impact. Their Register of Known Spam Operations (ROKSO) report revealed that a near monopoly of spammers targets Europe and North American countries. They are named “spam gangs”, deciding on who is in and who is out as the recipient of spam for 80% of the two continent’s population. Seven out of 10 top spammers in the world come from the USA: The United States of America is credited as the country where the Internet was born. However, that great record comes with its reciprocal worst record as the country harbors the ten worst spammers in the world. The annual cost of spam reaches $257 billion annually: The yearly cost of global spam is estimated to reach $257 billion USD. The data is very alarming for the fact that many countries have national average annual Gross Domestic Product that is less than $257 billion USD. That means whether we like it or not, if we consider spamming through emails as a legitimate industry, it is growing, profitable and really doing well. Spammers’ profits is estimated at $7,000 daily: Spammers earning $7,000 daily proves that spam is a big money-making endeavor. In fact, $7000 dollars is much higher than the per-capita annual income of some emerging countries in Asia and Africa. There is only one complete victim out of 12.5 million spam emails. Related to number 4 entry above, the $7000 daily earnings from spam came from one out of every 12.5 million emails sent. Probability favors the spammers, due to huge population somewhere, someone will fall for the scams proliferated by spam emails. These five facts hopefully will make more individuals and organizations more aware of the threat we are all facing every day. For a company operating in the 21st century, becoming a proactive firm is vital for end-user technical security. Especially for an organization that operates in the United States, Canada and the European countries, the perennial favorite targets of big-time spammers. The implementation of an effective anti spam engine is necessary to save the company time and trouble of correcting the issue of spam later. Various anti spam engine vendors have competitive offerings and serve as the company’s anti spam engine to prevent problems before it can actually happen. One such anti spam engine available comes from Comodo, a reliable name with security and privacy. Comodo Dome Anti Spam engine runs as a hosted service. It maximizes the enterprise’s productivity as the anti spam engine catches potentially dangerous spam emails, including phishing emails with embedded malicious attachments. It is done through the anti spam engine’s revolutionary Valkyrie technology, that runs parallel from the mail server. The anti spam engine filters the email for malicious contents prior to delivery to the end users, hence the system runs transparent and does not bother the regular email users. Dangerous content from an email is automatically flagged by the anti spam engine. It is a learning machine as part of built-in heuristics algorithm feature of the anti spam engine; similar email content in the future will also be detected. Comodo Dome Anti Spam engine enables system administrators to confidently allow users opening email attachments without worry that it may contain a malicious payload. Compared to a software anti spam engine, Comodo Dome Anti Spam is highly integrated with the mail server software that filters spam even before it reaches users' mailboxes. The license to open attachments belongs to the user, they will now confident that the emails that are in their mailbox are legitimate and non-malicious. 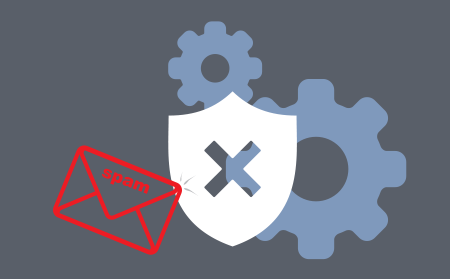 As Comodo is a trusted name in the security space, the anti spam engine can assure that the mail server operates optimally. The anti spam engine does not add needless adverts slow down the user’s PC. As it runs independently from the workstations, it does not waste the limited computing resources like a software antispam with a questionable quality. Try it today!